Looking for a one-stop solution to better skin? Look no further. 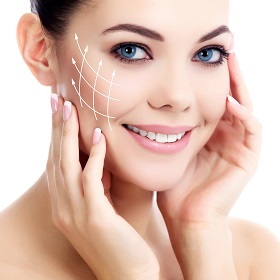 The Venus Viva™ treatment at our skin care clinic in Mississauga is a non-invasive way you can dramatically improve your skin’s texture in just one visit. 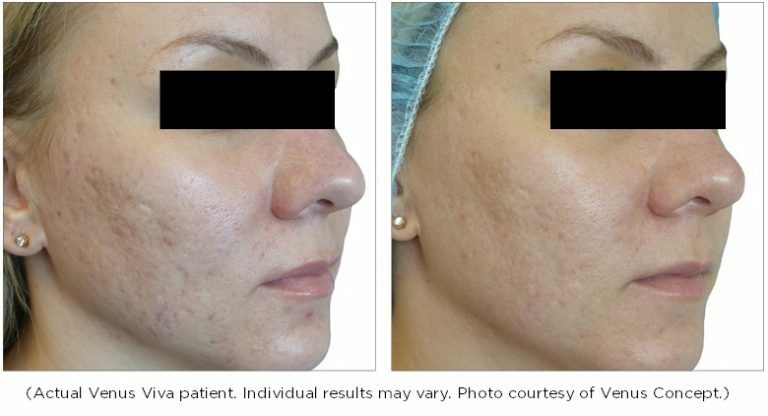 In fact, a treatment with Venus Viva™ can reduce/soften the appearance of deep lines and wrinkles, minimize enlarged pores, reduce the appearance of stretch marks, fade the appearance of scars, reduce rosacea or redness, and reveal more radiant, beautiful skin! So how does Venus Viva™ work? 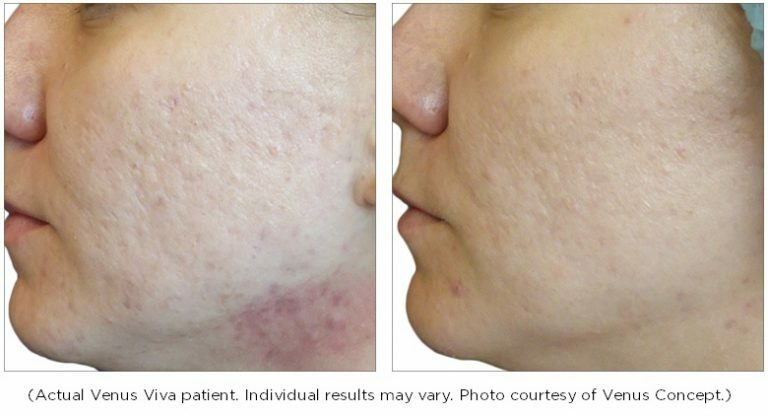 The Venus Viva ™ treatment uses a combination of two technologies: NanoFractional Radio Frequency (RF™) and SmartScan™ technology to address a number of skin texture problems. The device uses tiny pins that emit heat through the skin’s surface, which provokes a natural healing response from the body – naturally helping to correct skin texture issues and revealing smoother, younger-looking skin. Yes! The non-surgical Venus Viva™ treatment delivers heat safely via NanoFractional RF™ technology. Patients can see results in just one visit – typically a 30 minute session. But every case varies, many patients prefer to get the most out of this treatment with around 3-4 sessions every 4-6 weeks. Most patients are good candidates for this treatment. All skin tones can safely receive a treatment with Venus Viva™. Contact us today to learn more about what a Venus Viva™ treatment can do for you!